2009: 100% HEAT STRESS CONTROL! 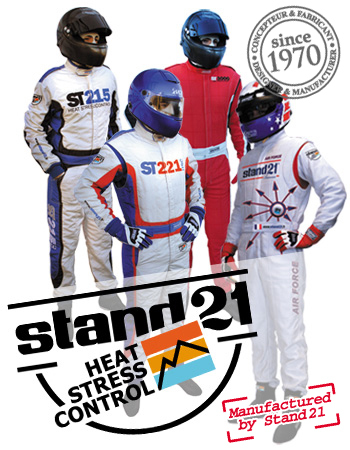 To cope with the success of our “Heat Stress Control” products and to meet our customers’ growing demand, it is with great pride that we, Stand 21, have created a brand new racing suits collection for 2009. A large financial and technical investment was necessary to do so for we have included our exclusive 100% “Heat Stress Control” fiber into the whole range! The new ST221 & ST215 HSC racing suits now complete our range alongside market references such as the Air Force and the ST3000 HSC both optimized as well. The new & exclusive technology used for both the ST221 HSC & the ST215 HSC allows them to be homologated using 2 layers only while improving their shiny look. Finally! The HANS® everybody expected! As the HANS® is to be mandatory everywhere in motor racing very shortly, Stand 21 has invested heavily over the past two years in R&D into a new cheaper model for drivers, quite as light and comfortable as its Hi-Tec models, current market benchmarks. This new HANS®, called RS (for Racing Series), benefits from a new exclusive recycled carbon-based manufacturing process and molded under very high pressure. It weights 805 gr only, fully equipped (against 1, 160 gr for the entry level Sport Series released earlier this year - a gain of weight of more than 30%) and with an angle of 20°, it fits the greatest number of cars and drivers. This new safety equipment, exclusive to Stand 21, comes directly with the latest sliding tethers giving more freedom of movement and which are already very popular among drivers. 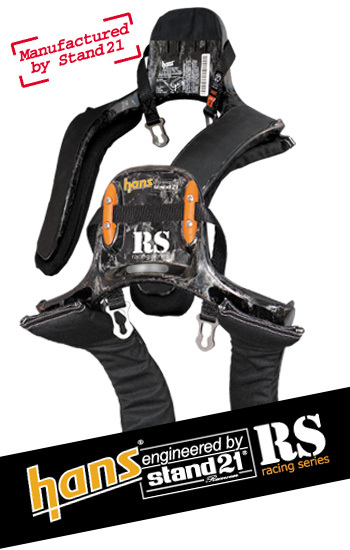 The HANS® RS, which has just passed the FIA approval tests successfully, is already available on sale from € 585.20 (excluding VAT). Double good news because at the same time, and to go on its will to make the HANS® accessible to all drivers, Stand 21 has managed to lower the price of the Sport Series model to € 435 only (excluding VAT)! 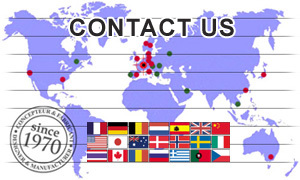 The 2009 edition of the Stand 21 catalog is now available! We can create your very own “dream” pair of racing boots with exclusive look!